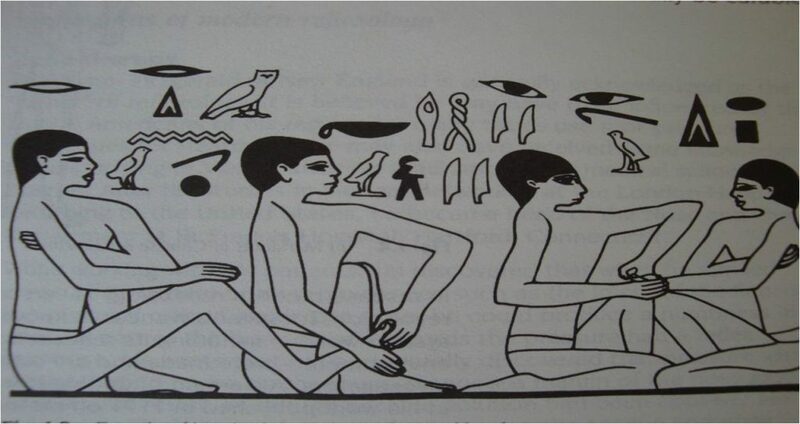 It is based on and has been developed over many, many years from Ancient Egyptian and Chinese origins. By locating and applying acupressure with the thumb and fingers to reflex points located on the feet that relate to the various parts of the body, any imbalances of energy which cause stress and ill health can be brought back into balance, thus promoting well-being and improved health. Stress, anxiety, lack of energy and poor sleep patterns, all of these symptoms could indicate an imbalance within the body. Reflexology has become widely accepted as a most valuable Complementary Therapy. Reflexology’s increasing popularity is due to its extraordinary effectiveness in maintaining good health as well as relieving all forms of physical and emotional discomfort. It is a Natural Holistic approach to health treating the Mind, Body and Spirit, bringing Balance back into the body and creating the environment for self healing to take place. It is suitable for males, females, child or adult – all can derive positive benefits from the treatment. 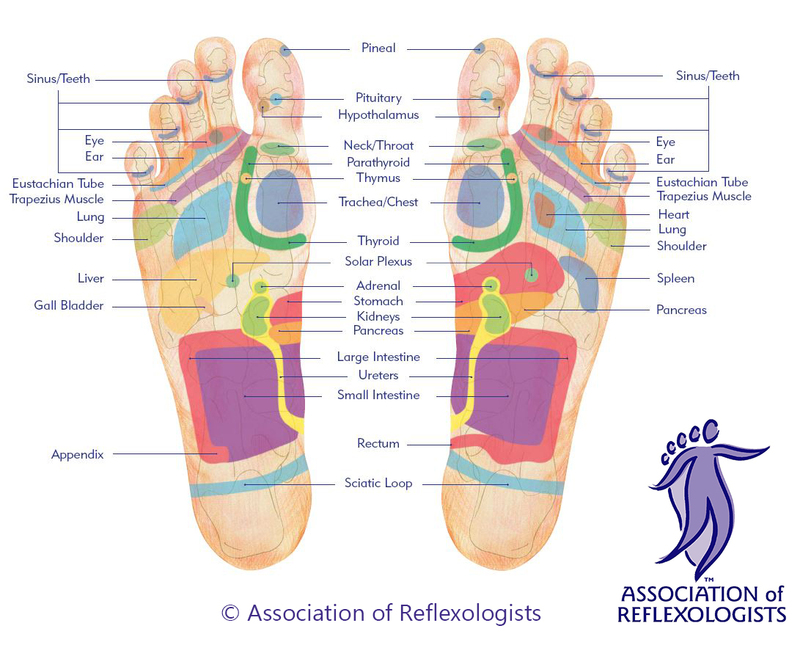 The following images show the areas of the feet where the reflexologist will focus for different conditions (click on an image to enlarge). Reflexology has been shown to be of help in both Infertility and in Pregnancy. There are many reasons why a woman has trouble conceiving that can range from the physiological conditions such as endometriosis to psychological conditions such as stress and tension…it’s a very complex area indeed. To treat infertility a therapist would try to bring the reproductive system and hormonal systems into balance by working specific reflex points related to these areas. With regard to Pregnancy, Reflexology can help the pregnant woman maintain good health throughout her pregnancy and towards the delivery. The treatment is extremely relaxing and calming for before, during and after birth. It helps by reducing stress and anxiety that may be present and helping to relieve the discomfort of minor ailments sometimes experienced such as morning sickness and nausea, indigestion and reflux, back pain, insomnia, fatigue and anxiety. Regular treatments during pregnancy will help to maintain balance during a time of great changes involving every system within the body as well as emotions. What will Reflexology do for YOU? I have also worked with many women during pre-conception, pregnancy and ante natal, preparing them for the birth and supporting them following the birth.